Spaghetti Westerner: Nevada, why are you so vain? Those are funny. 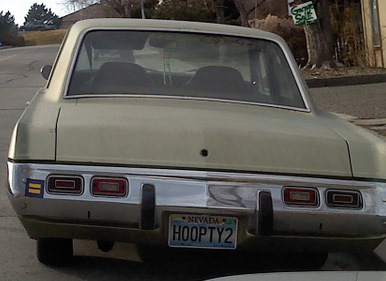 Sad to say I don't see many vanity plates around here. 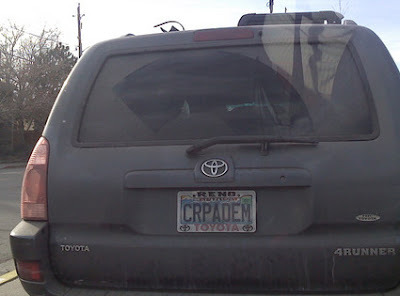 I would have guessed carpe diem too. I loved this!! 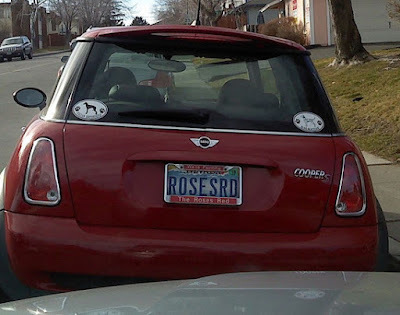 We have a lot of vanity plates around here too - some are so darn obscure, it's a miracle I don't have a wreck trying to figure them out. We have one lady driving around here in a very fancy car whose plate basically reads The Ex is Paying For It....obviously, I can't remember exactly how it's phrased, but once I got it I laughed till I cried. Cool post! 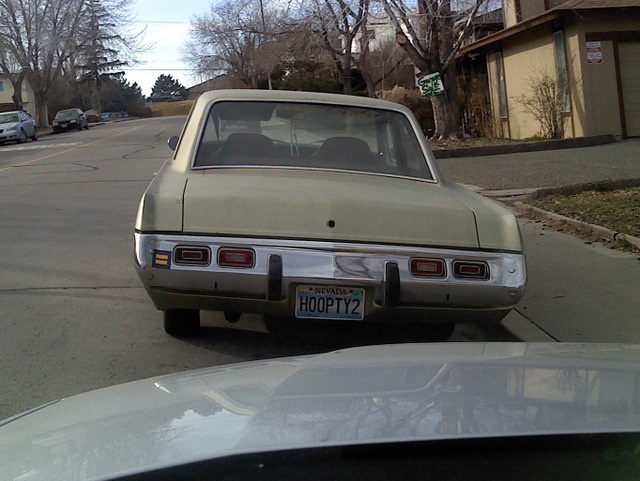 I have been slowly accumulating a gallery of the various plates I see on my everyday drive. Thought you might like to see! These are great! You need to stay on the lookout for more of these - I'd love to see a series! Is personalization cheap in Nevada? @Ruth: Thanks! I'm glad I'm not totally crazy for thinking that. @Dan: Thanks! Your photos are awesome. @Texas: I'm not sure if it's cheap...I should find out. I will definitely stay on the lookout. I have a lot of fun watching for them. I really like your idea of making this a regular thing. 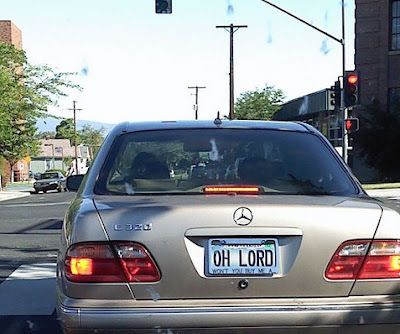 I like the Oh Lord one. Mine is just boring. Just letters and numbers that don't spell a thing. @Crystal: You'll have to keep your eyes out and let me know if you see any good ones! @Greenacremama: Too bad! It's really entertaining to see some of the more creative ones. My first car was an old Camry that was held together in more than one place with duct tape. I had a vanity plate that read "CAMROCK". Still have it somewhere! @Misguided: Now I wanna know what it says! I'll put it in my next license plate post if you send me a picture. Haha!